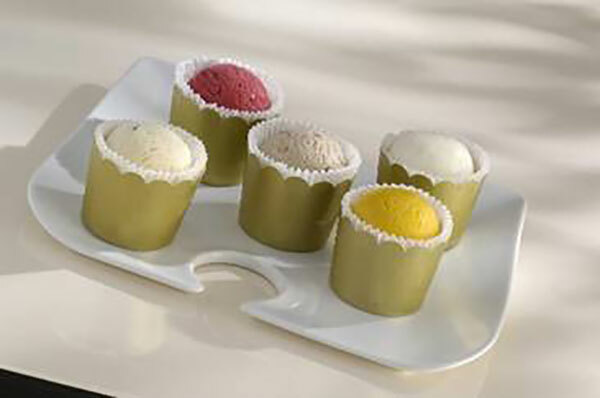 Our mini-desserts are presented on a black tray wrapped in cellophane to best protect them and facilitate serving. 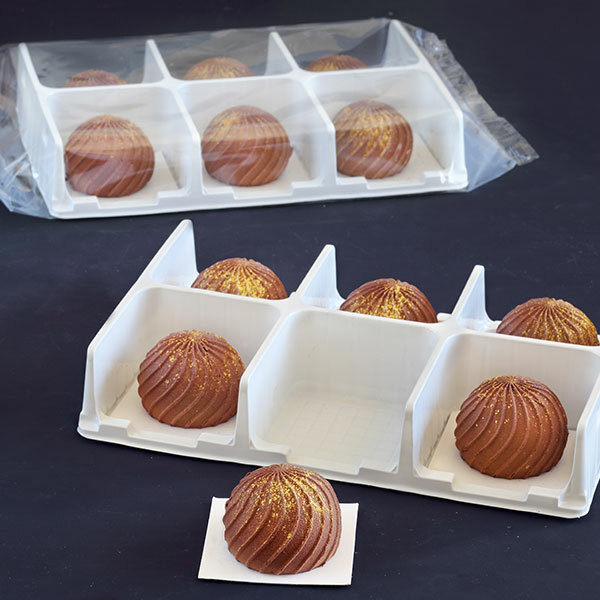 Most of our individual pastries are available in packs of twelve: Six individual pastries are grouped together on a single base wrapped in cellophane for optimal protection. 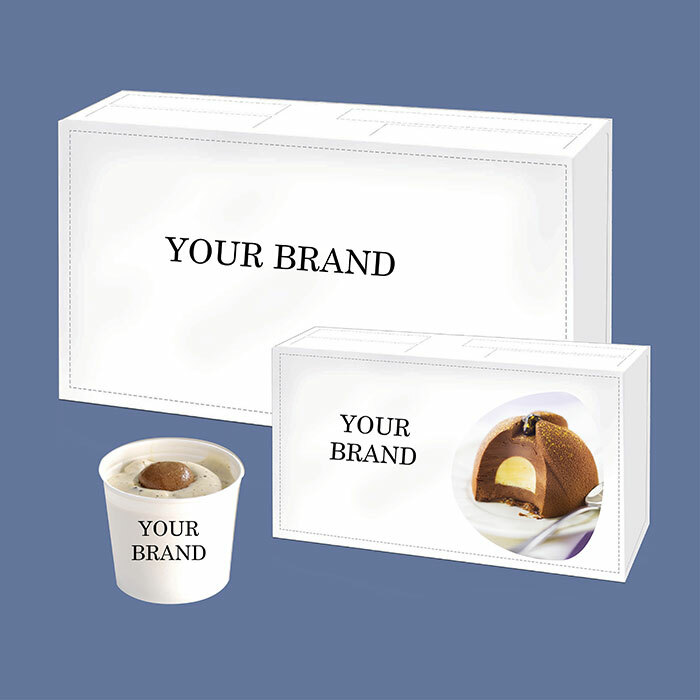 We can also adapt to your specific requests to best meet the needs of your clients. 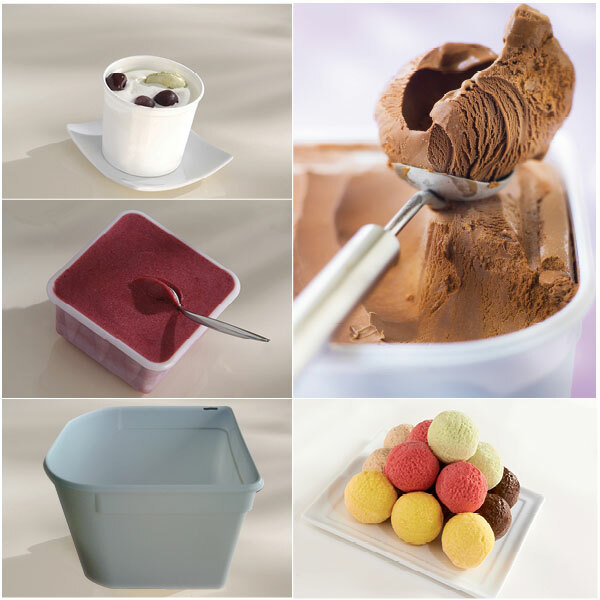 We make available a large range of containers printed for our specialised distributor clients and co-packing solutions. 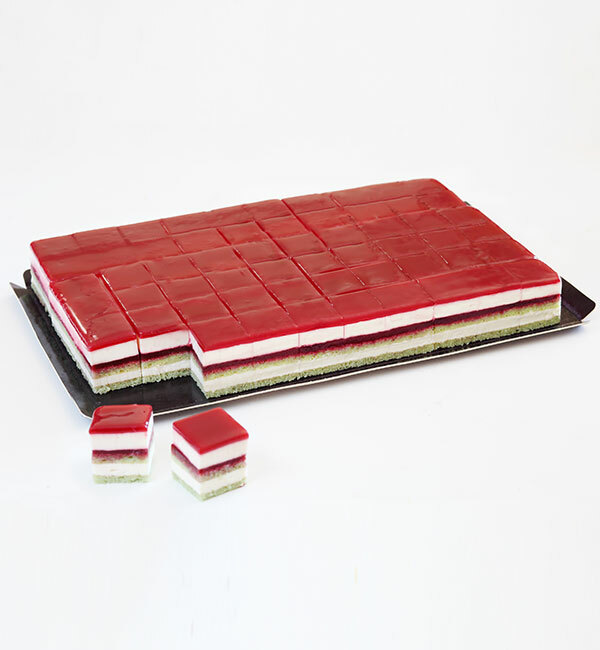 Cases of two, four or six, as well as made-to-order cases, can be developed on demand according to your projects when you order a minimum quantity. 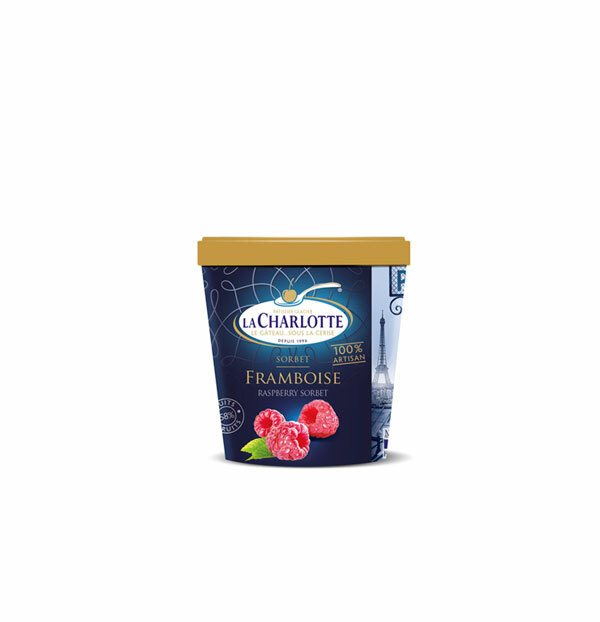 Many of our products are available under the La Charlotte brand. 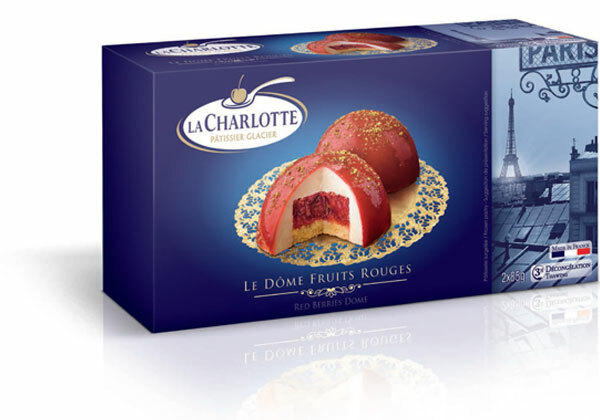 The La Charlotte brand showcases our full pastry and ice cream expertise. A premium brand and a streamlined design showcasing our “Made in France” expertise.